Why does my broker ask for so much documentation? No one likes paperwork; however, providing your broker with the right documentation will save you time and money. 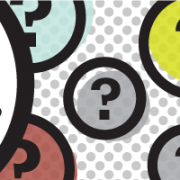 What information will your broker ask you to provide? While it may seem that you are climbing the Mount Everest of paperwork, a broker will ask for all of this to ensure they are protecting you and that they get the best possible deal. Gathering various forms of documentation allows brokers to do a fact find, which is an important part of the loan process, by which brokers ensure that they match a client with a loan that helps them achieve their property goals, whether that is buying a home to live in, one to renovate and sell, or a long-term investment, and one that matches their financial positions. Brokers do not want to put prospective loan clients into a situation where they cannot afford to repay their new loan commitments. Will a bank ask for the same documentation? If you apply for a loan with a bank that you do not currently have an account with, they will require much of the same information as a broker would. Although borrowers may be able to reduce the paperwork by applying for a loan with their current bank (which will already have a lot of information on file), this means they will be constrained by the products and rates that the bank offers and risking missing out on alternatives provided by other lenders. The benefit a broker has compared to an individual bank, is the broker has access to most banks and lenders across Australia. 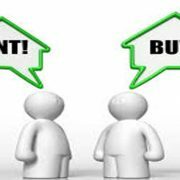 Lending policies and pricing vary greatly across the lending market so why limit yourself to just one when you are making your enquiries. A broker can usually tell a client within 10 minutes whether they have a chance of obtaining loan approval. Brokers have access to bank loan affordability and serviceability calculators, which show clients’ potential borrowing capacity. Depending on the size of the funding required, and the loan to valuation ratio, these days the banks are extremely competitive. If a client is not yet in a position to obtain a loan or has a credit issue on their file, such as a default, having a broker on-side can be invaluable. A broker can guide the client with a view of getting the default removed, or waiting until the default drops off the client’s credit file. 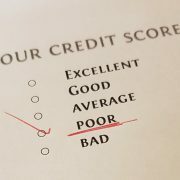 Most brokers are accredited to gain access to client’s credit files these days, which is an extremely important issue due to the banks’ risk scoring. In a nutshell, a broker will shop around to get the best possible deal for you, their client. http://brickhill.com.au/wp-content/uploads/2017/04/picture.png 200 751 admin http://brickhill.com.au/wp-content/uploads/2017/03/brickhill-340-x-156.png admin2017-04-30 20:13:392017-05-02 18:38:47Why does my broker ask for so much documentation? What is rent-vesting? Could it be for you? Many people are feeling locked out of the housing market as prices in the areas they want to live become increasingly unaffordable. However, sometimes the best way to approach something is from the side, rather than from the front. More and more young couples and families are figuring out that the key to achieving their dream of owning property is to take an alternative approach – rent where you actually want to live, and buy where it is most affordable and then rent out that property. Investing before purchasing your own home may seem like a backwards approach, but it can be the smartest way to gain property ownership in the current economic climate. There are several advantages to taking the so-called ‘rent-vesting’ route, the primary one being that you can enter the property market sooner and start building wealth as an investor. Because the property is cheaper, the deposit needed may be lower (but obviously, you would need to check with your lender) and you thus don’t have to spend years saving, which can only be a good thing. A large amount of potential home owners get caught in the trap of renting and being unable to afford a deposit for a home of their own, so by lowering the deposit goal, more people would be able to reach their savings goal while they are renting. Buying an investment property first also means you don’t have to compromise on location and price when buying, as you don’t have to buy within your ideal area. The focus is solely on affordability and the value of the property as an investment that can help you save for the property you really want. The key drawcard for homebuyers is the fact they don’t have to sacrifice the lifestyle they want in order to work towards buying their dream home – they can live near the city or beach or the good social amenities while using this investment property to save. If it is an option for you, buying several cheaper investment properties can potentially be a way to build wealth quicker than buying one more expensive home. Increasing numbers of first homebuyers are strategically building property portfolios in order to get where they want to be. Buy but also have solid rent rates and a strong likelihood of increasing in value? It is wise to take your time considering which property would be the most likely to help you achieve your goals. Are you being flexible about what you want from this investment property without being too lenient? Strike a balance and find a property with a promising outlook. Have you talked to your financial adviser or broker? Get a really solid understanding of how much you will need to save and what impact this investment would have on your financial situation. It can be confusing to know whether to get a variable rate or fixed rate mortgage, and what features are important. That’s why it’s important to not only check the right rates, but make sure that you’re getting the right features in your home loan. Get help choosing the right home loan. http://brickhill.com.au/wp-content/uploads/2017/04/rent-e1492860850722.jpg 300 600 admin http://brickhill.com.au/wp-content/uploads/2017/03/brickhill-340-x-156.png admin2017-04-22 21:36:322017-05-02 18:38:47What is rent-vesting? Could it be for you? 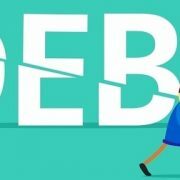 Most borrowers are surprised to find out that a low interest rate is not the most significant factor in reducing the overall mortgage cost and payment period. Use the calculator http://brickhill.com.au/extra-repayment-calculator/ to see how much interest you could save by making extra payments. 3. Don’t focus solely on interest rates. 4. Avoid going directly to a lender. Lenders like it when you walk into their doors without being referred to by a broker, as they can pocket the commission they would normally have given to the broker. There is no financial saving to you by going direct to a lender as the broker’s services to you are at no cost to you. By consulting an experienced mortgage broker with a wide range of lender contacts, you could gain access to better deals than are currently available on the market. 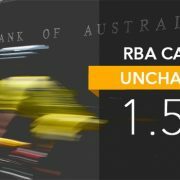 Reserve Bank of Australia: No change in cash rates for another month. At its board meeting today the Reserve Bank of Australia decided to leave the official cash rate unchanged. As widely predicted, the RBA has kept rates on hold as it continues to work in unison with the regulators to stem concerns around the growth of the Sydney and Melbourne property markets. Assisting the RBA not to make the call to increase rates was the out of cycle rate increases we have seen from lenders over the last week. In many ways, these have done the RBA’s job for the moment. Also, weighing on the RBA’s decision not to move rates higher was the continued uncomfortably high unemployment rate and the fact inflation remains within its target range. Regardless of whether rates move up or down, my role as your mortgage broker remains unchanged. I’m always on hand to ensure you still have the right financial solution for your current circumstances. http://brickhill.com.au/wp-content/uploads/2017/04/RBA-march-e1491301796487.jpg 250 500 admin http://brickhill.com.au/wp-content/uploads/2017/03/brickhill-340-x-156.png admin2017-04-04 20:30:372017-04-04 20:57:04Reserve Bank of Australia: No change in cash rates for another month. Just like you claim wear and tear on a car purchased for income producing purposes, you can also claim the depreciation of your investment property against your taxable income. Seasoned property investors know all about this one. In fact, some will take depreciation into account before purchasing their investment. But it’s not just for the pros. Anyone who purchases a property for income-producing purposes is entitled to depreciate both the items within the building and the cost of the building itself – against their assessable income. Every year, thousands of dollars go unclaimed by property investors who are none the wiser. All it usually takes is a qualified quantity surveyor to inspect your home and prepare a report for your accountant. The savings can be substantial. and depreciation on Building Allowance. Plant and Equipment refers to items within the building like ovens, dishwashers, carpets and blinds etc. Building Allowance refers to construction costs of the building itself, such as concrete and brickwork. Both these costs can be offset against your assessable income. Depreciation is known as a “non-cash deduction” because it’s a deduction that you don’t have to pay for on an ongoing basis – the deductions are in-built within the purchase price of your property. All other deductions, such as interest, levies, will cost you and require payment on an ongoing basis. The simple answer is no. If your residential property was built after July 1985 you will be able to claim both Building Allowance and Plant and Equipment. If construction on your property commenced prior to this date, you can only claim depreciation on Plant and Equipment. But it will still be worthwhile. Commercial and industrial properties are subject to varying cut off dates. Who should calculate the depreciation? If your residential property was built after 1985 your accountant is not allowed to estimate the construction costs. Similarly, real estate agents, property managers and valuers are not allowed to make this estimate. Tax Ruling 97/25 issue by the Australian Taxation Office (ATO) has identified quantity surveyors as properly qualified to make the appropriate estimate of the construction costs, where those costs are unknown. Whereas accountants can offer advice around other aspects of tax depreciation, construction costs and property depreciation are technical in their own right. quantity surveyors are specialists in the accurate measurement of construction costs with a view to maximizing a client’s financial position in relation to their property assets. Will my property need to be inspected? The Australian Institute of Quantity Surveyors (AIQS) Code of Practice stipulates that site inspections are necessary to satisfy ATO requirements. A quantity surveyor will ensure all depreciable items are noted and photographed. This ensures you won’t miss out on any deductions. The documentation can then be used as evidence in the event of an audit. The best time to get an inspection of your property is immediately after settlement and hopefully just before the tenant has moved in. However, even if you bought the property three years ago, you can I still make a claim in most circumstances. Your accountant can amend your previous tax returns up to two years back. There are some exceptions, so contact your tax agent or the ATO for clarification. Can I still claim if my property is renovated? Yes. The Quantity surveyor will need to know how much you spent on renovations. This is an ATO obligation. If the previous owner completed the renovations, you are still entitled to claim depreciation. In either case, where the cost of renovation is unknown, a Quantity surveyor has been identified by the ATO as appropriately qualified to make that estimation. How much will my depreciation schedule cost? 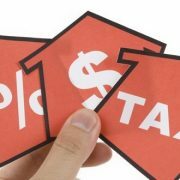 The cost of preparing a tax depreciation schedule varies depending upon the type of property you’ve purchased, location, size and numerous other factors. Generally, the leading quantity surveying companies offer a money back guarantee to save you twice your fee in the first year or they give you the report for free. So, you have nothing to lose – and deductions to gain! Quantity surveyors’ fees are 100% tax deductible.